Blame Julia Roberts. Naples eatery L’Antica Pizzeria da Michele has been selling the same two pizzas for over 140 years now, but it was probably the restaurant's key role in Elizabeth Gilbert's memoir Eat, Pray, Love – and the Roberts-starring film adaptation – that guaranteed it a safe passage to Japan. In the book, Gilbert doesn't so much rhapsodize as completely lose her mind (her words, not ours) over the Da Michele dining experience. ‘I love my pizza so much, in fact,’ she gushes, ‘that I have come to believe in my delirium that my pizza might actually love me, in return.’ Others haven’t been quite so convinced: the paeans on Tripadvisor are interspersed with more lukewarm write-ups from romantically jilted diners for whom the reality was never going to live up to the hype. Da Michele's arrival in Tokyo now might seem like a belated cash-in on a film that most people have already forgotten, but it's well timed to capitalise on the sudden surge in serious pizza restaurants here. Housed in a central Ebisu location, the restaurant makes no attempt to ape the shabby decor of its Napolitan counterpart (we've already got Nakameguro's Da Isa, run by award-winning pizzaioli Hisanori Yamamoto, for that). It's almost dazzlingly white when we step inside, with the lofty ceilings, tall mirrors and open plan layout giving it a vibe that's more Manhattan than Mezzogiorno. Turning up close to 2pm, we've managed to miss the lunch rush and get a seat without having to wait. 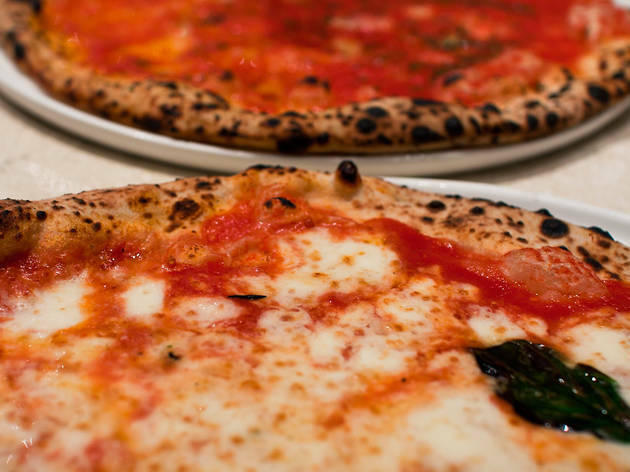 True to the original Da Michele format, there's a choice of only two pizzas – margherita and marinara – which are available in either large or ‘normale’ sizes. The latter would be more than sufficient to sate most appetites, but we plump for the full-size option – only to be confronted a few minutes later with a grotesquely distended slab of food, at least 30cm wide. Do we finish it? You bet. The margherita doppia is a creamy delight (Da Michele sources its ingredients directly, and with cheese this good, it really shows), while the marinara is a masterpiece of simple but subtly complex flavours. Granted, the crusts aren't the most memorable we've had, but people have been saying the same thing about the pizzas served up at the Naples branch for decades. Given that it's only been a few weeks since it opened, we'd feel it premature to declare L’Antica Pizzeria da Michele an unqualified success – and we've yet to see for ourselves how the restaurant handles its wider menu of evening-only antipasti at dinner. 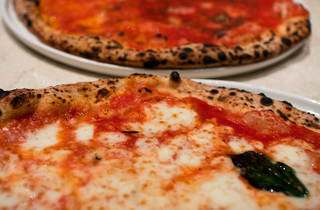 But for now, it looks like Tokyo might just have itself a new favourite pizza restaurant. Just don't tell Julia Roberts.